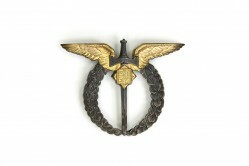 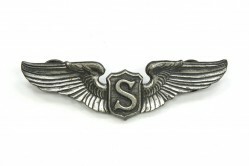 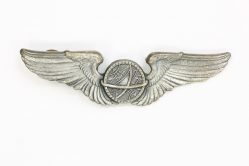 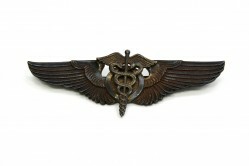 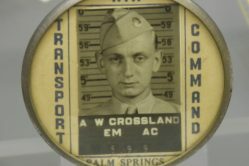 The aerial gunner aviation badge is a winged bullet centered over the observer aviation badge. 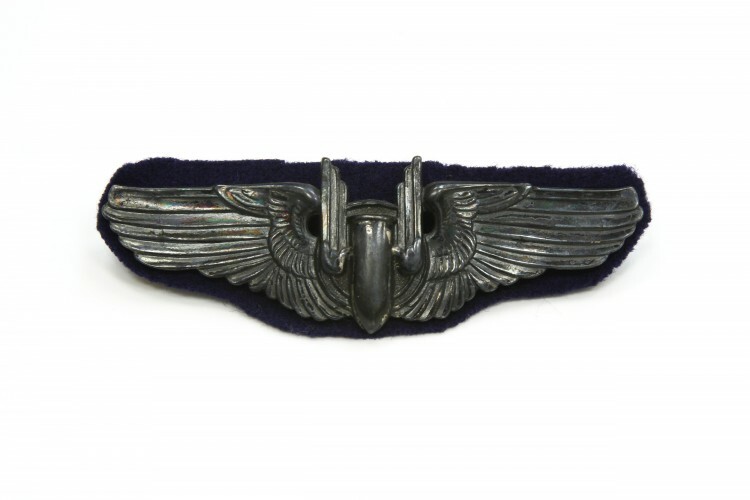 It was issued to aerial gunners during WWII who manned defensive machine guns on bomber aircraft. This badge is pinned to a rectangle of blue fabric which identifies a combat crew member.